Comment: Another capital increase. Getting ready for the listing of BPP in the near future perhaps. SCI Electric Plc was listed on the Stock Exchange of Thailand in October last year. 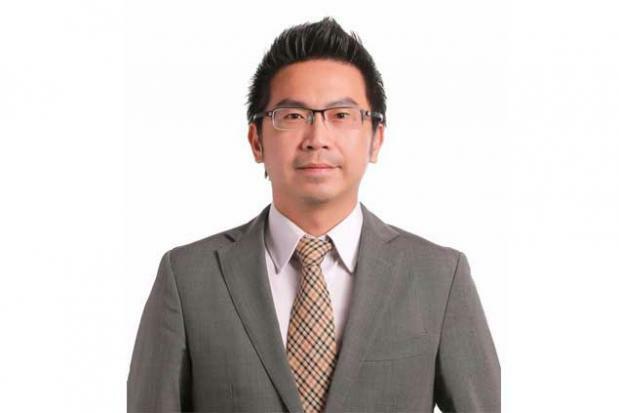 CEO Kriangkrai Pheanvitayaskul discusses the company’s strategy and outlook. SCI started 50 years ago, focused on electrical power systems. Over the years as Thailand developed, specifically with the industrial estates and development zones such as Map Ta Phut, we were able to expand further into switchboards and cable trays. As the market in Thailand grew further we acquired technology from both Japan and Australia to include galvanised products and added towers for telecommunication and steel structures. In 2016, we expanded internationally, first to Laos, the “Battery of Asia”, where we invested in a 3.2-megawatt hydropower plant that has been commissioned since 2013 and developed a strong reputation as an engineering, procurement and construction (EPC) contractor. What is your business model today? Today we have four core businesses starting with manufacturing, designing and installing electrical switchboards and distribution boards. We also manufacture cable trays and supporting systems for electrical switchboards. Secondly, through our subsidiary Ajikawa & SCI Metal Tech, we manufacture steel fabrication structures including power transmission and telecommunication towers, steel structures and substations as well as other galvanised steel fabrication. For these businesses, the main customers are contractors or project owners such as factories, Egat, the MEA, PEA and so on. We have also expanded into EPC services for power transmission and distribution systems such as high-voltage transmission lines, power substations and distribution systems. We were awarded the main contract for the Power Distribution System and Rehabilitation Project Phase 1 (PDSR1) with a value of US$94 million in Laos in 2013, and recently received a $416-million contract from Electricite du Laos (EDL) to proceed with a 500/230-kilovolt transmission line and substation project. Finally, we have a renewable energy and utilities business that includes the 3.2MW hydropower plant in Savannakhet province in Laos. As well, we recently began a joint venture with Property Perfect Plc to invest in several renewable energy and utilities businesses including power plants, solar rooftops and a tap water business. Comment: AOT has been very quiet recently in terms of their expansion plans. Comment: Perhaps the last sector left to run in the Thai market. Comment: Still a growth machine. Comment: The Philippines has done far better than what most people expected. It does raise the question why couldn’t ICHI and SAPPE do the same in their international expansions. CRANE – The jump in the stock price led to him selling? PACE – Hmmm thats a substantial sale from one of the owners. 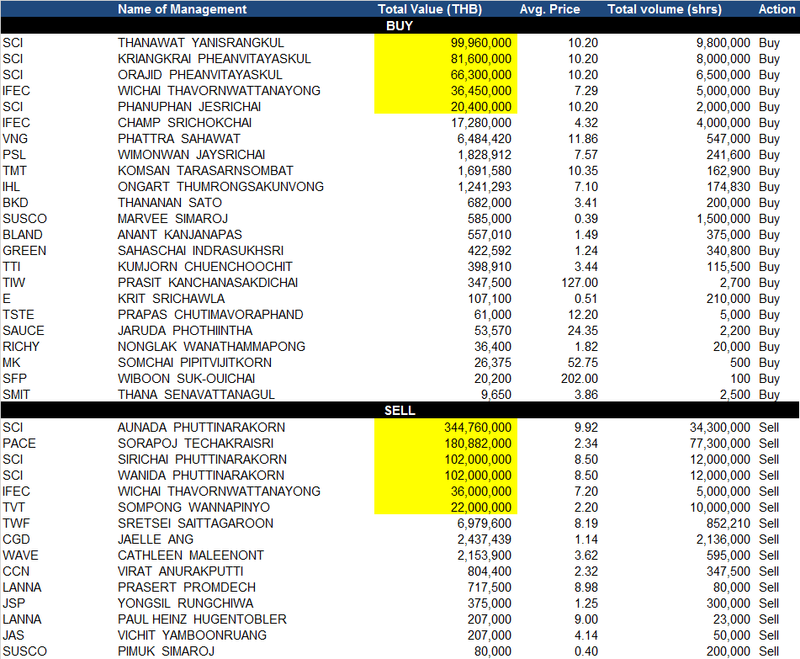 TVT – Well if your company was making THB 55 mn p.a. and the stock was trading @ 1.7 bn wouldn’t you sell too?